Garmin has introduced a new version of its Forerunner connected sport watch, the 920XT. 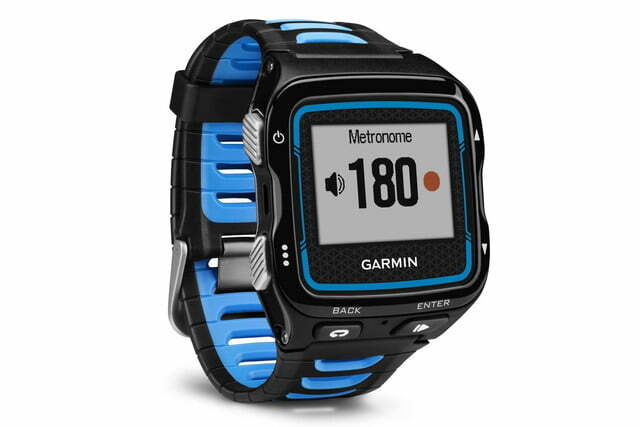 Priced at $450 ($500 with a heart rate monitor), the “multisport GPS watch” records all the info from a swim, bike ride, or run; you could use it for any physical activity, but it’s designed with the aforementioned in mind. For other times, the 920XT doubles as a smart watch: you can connect it to a smartphone to receive notifications of text messages, emails, calls, and calendar reminders (so you don’t have to take out a phone when you’re engrossed in activity), or use it as a remote control for Garmin’s VIRB and VIRB Elite action cameras. The 920XT is 15-percent lighter and 18-percent thinner than the Forerunner 910XT, and the design is more comfortable to wear. It also has a high-res color display that lets you easily see your stats. It tracks steps, distance, calories, and sleep; alerts you when you need to start moving; and counts down to meeting personalized daily goals. 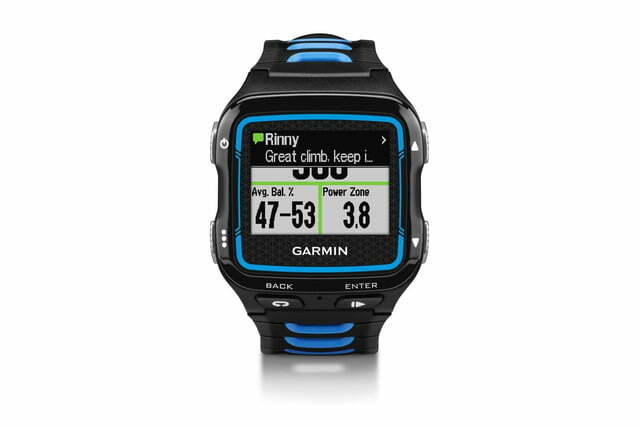 When connected to Garmin Connect via a Wi-Fi network or through the Garmin Connect Mobile app on a smartphone, the watch automatically uploads workout data; the mobile app also lets friends and family track your workout in real-time, like during a race. Of course, the 920XT isn’t your ordinary fitness tracker, as there are cheaper, more basic solutions for measuring heart rate and steps. Beyond the normal daily activities is when the watch shines. We’re talking about marathon running, competing in Iron Man triathlons, sloshing through Tough Mudder course, and participation in any sort endurance sport. When swimming, the 920XT logs swim drills and kick sets, as well distance, pace, stroke type, stroke count, and SWOLF score (a swimming metric for the time and the number of strokes required to swim the length of a pool). 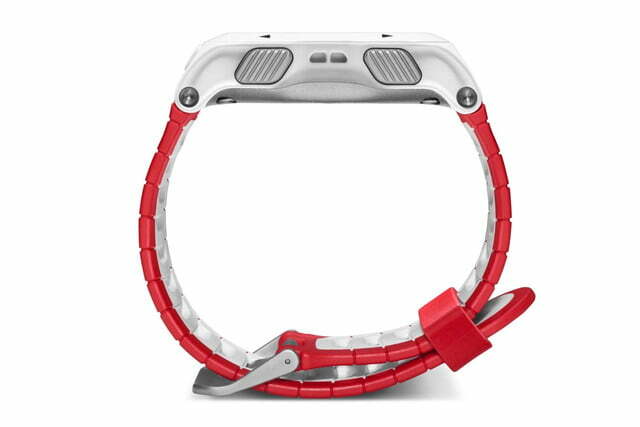 During biking, the watch has a altimeter that tracks ascent, descent, and gradient. It also works with sensors such as speed, cadence, heart rate, and power meter. Besides GPS, the watch can also receive GLONASS signals for positioning. 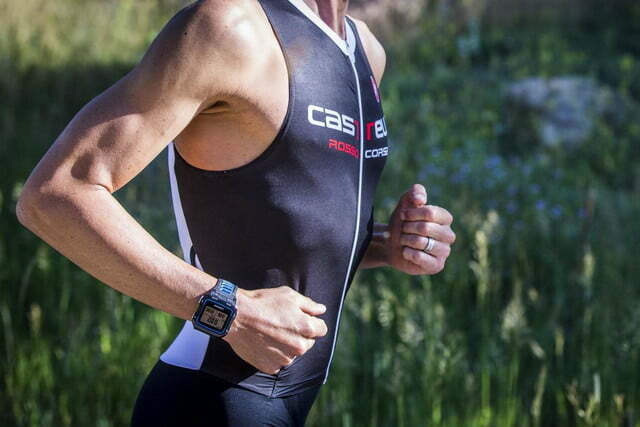 “When paired with compatible ANT+ power meters, including Vector S and the dual-sensing Vector system, the Forerunner 920XT displays power data including average watts, left/right balance, power zone, and when also paired with a heart rate monitor for training it can derive users’ VO2 max estimates for cycling to help monitor changes in fitness,” Garmin says. 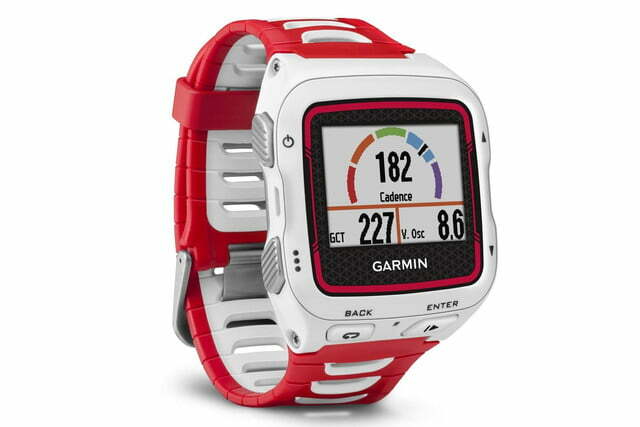 For running, the watch, when used with the Garmin HRM-Run monitor, tracks your running form; it reports “cadence (total steps per minute), vertical oscillation (amount of “bounce” in a runner’s step), and ground contact time (how much time a runner’s foot spends on the ground during each step.” The watch will even display your performance against other runners’. Ultra runners can use the 920XT in UltraTrac mode, which extends battery life up to 40 hours. (If you didn’t understand a lot of what was just mentioned, it’s not you – this device probably has way more than you need). The 920XT comes in either a black-and-blue design, or red-and-white. 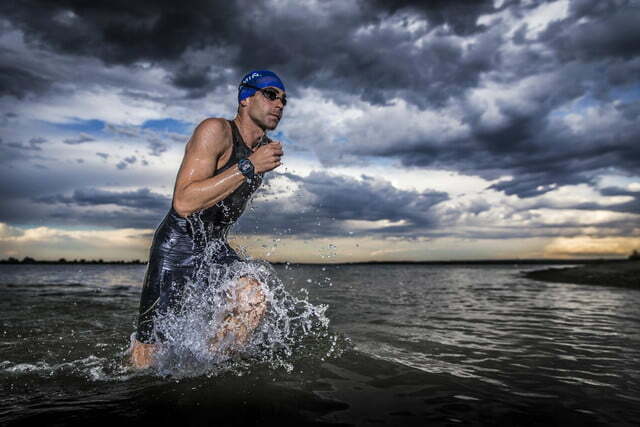 Check out this video of pro triathlete Timothy O’Donnell talking about using the 920XT.